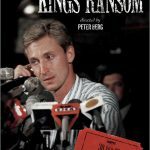 Twenty-five years ago today, Wayne Gretzky was traded from the Edmonton Oilers to the Los Angeles Kings. As an American hockey fan, I feel like I owe a lot to Wayne Gretzky. His presence on a U.S.-based team helped grow the sport here in the states tremendously. The effects of his trade are still felt in this country today. How many other hockey players have hosted Saturday Night Live? 1. 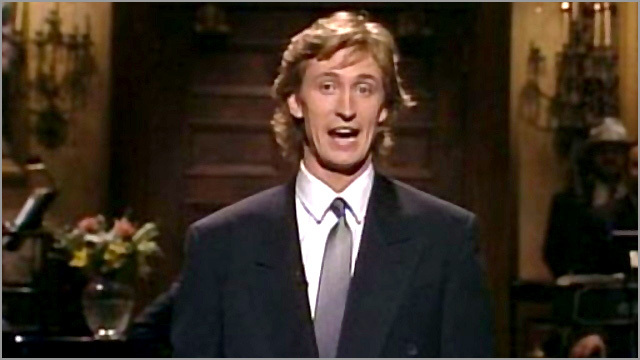 Gretzky gave hockey a “go-to” reference in the United States. 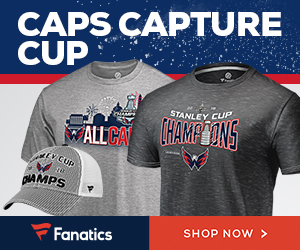 If you asked a random person on the street in a U.S. city to name a hockey player back in 1987, they probably would have answered you with a blank stare. Sure, a hockey fan would have been able to rattle off an entire roster, but not a lot of people outside of hockey circles knew much about the sport, let alone who the greatest player was. Gretzy’s trade to the Kings gave the second-largest market in the U.S. the best hockey player ever. People took note, and Gretzky became that “go-to” hockey reference that the U.S. so sorely needed. Gretzky was the “hockey character” in the God-awful Saturday morning cartoon ProStars, which also featured animated versions of Michael Jordan and Bo Jackson. In the 1990 film Teenage Mutant Ninja Turtles, one of the turtles makes a remarks, “Who the heck is that, Wayne Gretzky?” when meeting goalie-masked vigilante Casey Jones. A generation of kids watching that film who had no idea who Wayne Gretzky even was would soon find out. The list goes on. The mainstream population in the U.S. may not have ever watched a hockey game, but at least they could now name the game’s best player. The trade that changed trading cards. 2. 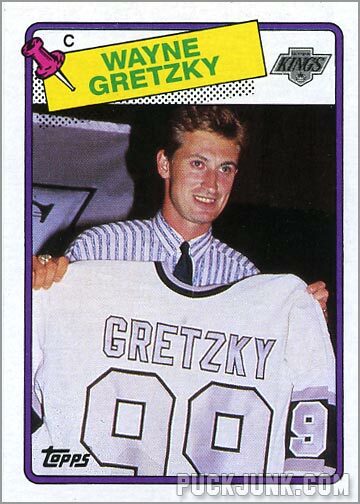 Gretzky’s trade changed trading cards. 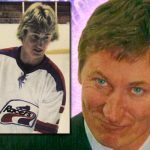 Gretzky’s trade changed hockey cards in two ways. First, up until the late 1980s, Topps and O-Pee-Chee would “doctor” a photo if a player was traded in the offseason, so as to make the player “appear” that he was with his new team. They’d either do a “head swap,” or paint a new uniform over the old one. But you don’t do that to the Great One. 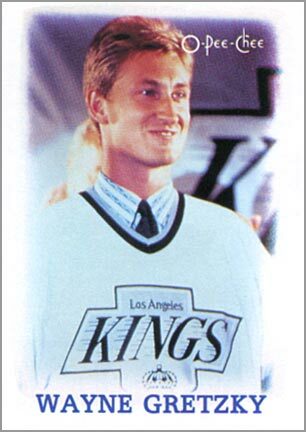 Instead of painting a Kings uniform over a game-action shot of Gretzky — or worse, transplanting his head on another player’s body — the Topps card company used a photo of Gretzky from a press conference on their 1988-89 trading card. 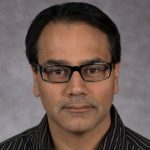 Other companies would follow suit. Hoops used a similar photo for their 1989-90 card of David Robinson. The using of press conference photos became an accepted practice in the trading card industry when a game-action photo could not be secured on time. But another big change to the hockey card industry was the increased demand for hockey cards in the late 1980s and early 1990s. 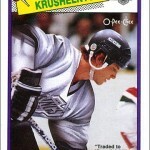 Two years after Gretzky’s trade to L.A., three more companies got the license to make hockey cards. Hockey card collecting was no longer a two-horse race, with Upper Deck, Score and Pro Set joining Topps and O-Pee-Chee. 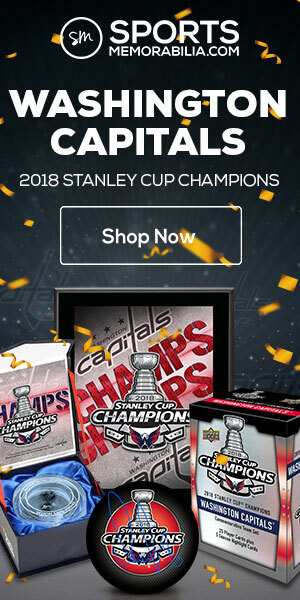 Here in the U.S., hockey cards went from being sold only in card shops to being sold everywhere: grocery stores, toy stores, sporting goods stores, comic book stores, gas stations, you name it. This would never had happened if Gretzky was still in Edmonton. Be like Mike? Some of us wanted to be like Wayne. 3. Gretzky’s new endorsement deals raised hockey’s profile in the U.S. Yes, Wayne Gretzky was endorsing products long before his trade to Los Angeles — including this hilariously-bad 7-Up commercial from Canada — but now he was endorsing products in the U.S., too. 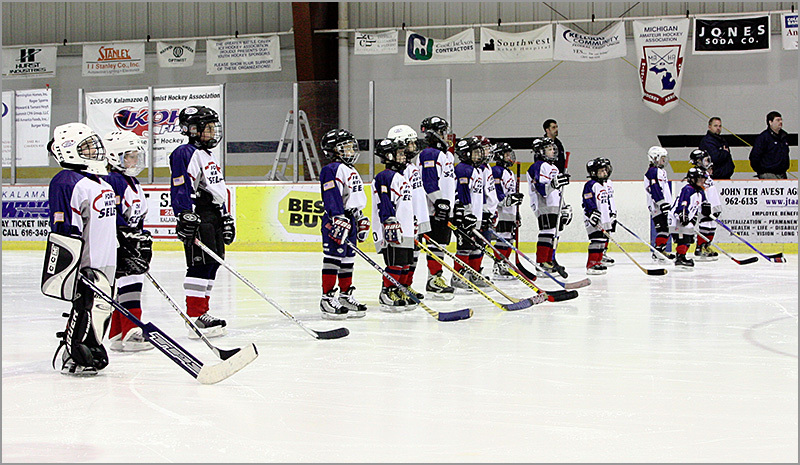 Having a recognizable name and face to promote hockey-related products raised hockey’s profile significantly. 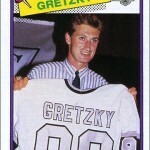 Grocery stores carried Upper Deck trading cards, endorsed by Gretzky. Toy stores had the Wayne Gretzky Overtime Hockey table hockey game and the Wayne Gretzky Hockey video game for Nintendo. Shoe stores sold Gretzky-endorsed Ultra Wheels in-line skates and L.A. Gear street hockey shoes. Street hockey shoes? Tell me about it. 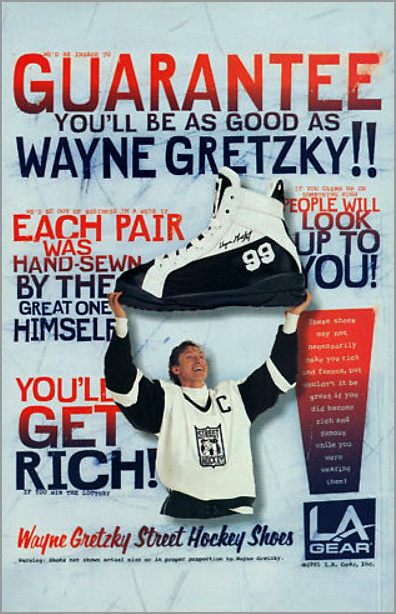 Do you think any company would have tried selling street hockey shoes if Gretzky wasn’t with the Kings? Suddenly, Los Angeles noticed that it had a hockey team. The L.A. Kings — along with the now-defunct Oakland Seals — became NHL teams in 1967 because the television networks wanted the NHL to have a west coast presence. The NHL also did this to thwart their biggest rival at the time, the “old” Western Hockey League. 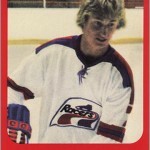 Hockey languished in California in the 1970s and 1980s until Gretzky came along. Five years later, California had two more teams. Former Kings owner Bruce McNall may have had a lot to do with that. In his book Fun While it Lasted, he discusses pushing for expansion in California so that he’d get a large chunk of the expansion fee money paid by the San Jose Sharks and Anaheim Mighty Ducks, since they were encroaching on the Kings’ TV market. Face it: no one in Anaheim or San Jose would even be interested in hockey if it wasn’t for Gretzky being on the Kings in the first place. 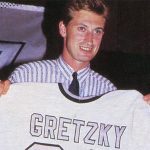 During the 1990s, Gretzky’s presence in the U.S. would help grow the sport in other “non-traditional” markets like Florida and Texas. Photo by battlecreekcvb via Flickr / Creative Commons. More kids wanted to play hockey in the United States after Gretzky was traded to the Kings. The numbered of registered hockey players in California grew from 4,830 players in 1990-91 (the earliest year that USA Hockey has data for) to 22,305 players in 2010-11 (source). California is the seventh-largest region for hockey players in the United States. 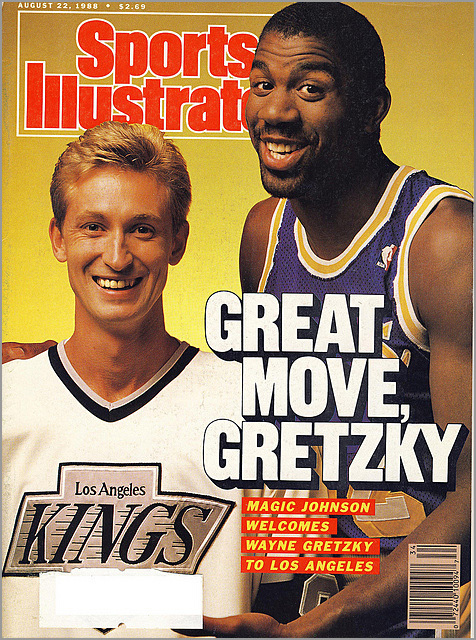 Gretzky’s presense in L.A. was felt throughout the rest of the country, too. According to USA Hockey, the number of registered hockey players in the U.S. grew from 195,125 players in 1990-91 to 421,399 players in 1998-99 — Gretzky’s last year in the NHL. Since then, it has climbed to 510,279 registered players in the U.S. This has also impacted the number of Americans drafted by NHL teams. From 2000 to 2012, 743 U.S.-born players were drafted by NHL teams. In the 2013 draft, 53 U.S.-born players were drafted, accounting for just over one-fourth of all players picked. How many of these young men were inspired by watching Gretzky play? On August 9, 1988, Canada lost their greatest athlete, but hockey in the United States gained just what it needed to help the sport grow. Twenty five years later, the growth hasn’t stopped. Nope, I indeed meant the “old” Western Hockey League, which existed from 1952 to 1974. The NHL expanded to California because the WHL and the AHL were thinking about merging and becoming a major league. That was a big catalyst for the NHL adding 6 new teams in 1967.